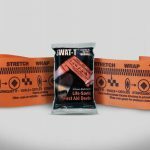 Perfect for use in all situations, especially on children and elderly with thin limbs, the Mini Compression Bandage provides a fast, effective tool for many kinds of traumas and injuries (particularly those involving arterial bleeding in extremities). 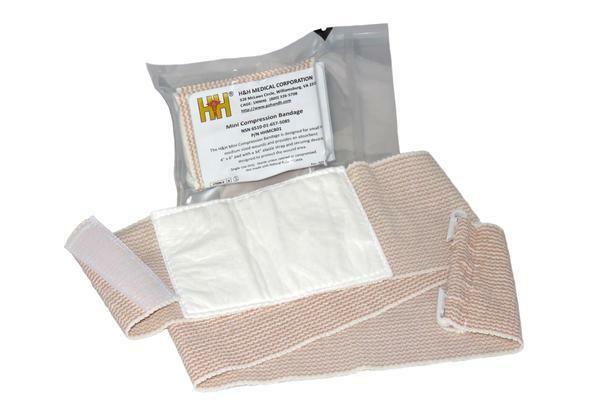 The H&H Mini Compression Bandage comes in a sterile, vacuum-sealed 5 mil barrier bag, flat folded to create a small tight package that’s less than an inch thick! Designed to be our smallest and thinnest trauma compression bandage, the H&H Mini Compression Bandage provides the same emergency trauma capabilities as our Thin H bandage in a smaller, more versatile package. 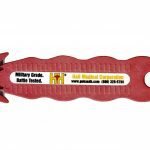 Manufactured with a 4”x 6″ ABD pad, it’s vacuum sealed and flat folded to be small enough to fit in a shirt vest or pant pocket. 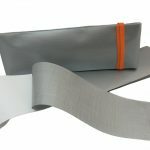 With our 4 foot proprietary elastic strap (stretched), the Mini Compression Bandage is strong enough to provide compression to wounds on any location. 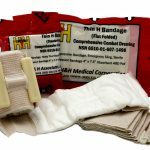 Be the first to review “H&H Mini Compression Bandage” Click here to cancel reply.